We review the neuronal antibodies described in CNS disorders in order to clarify their diagnostic value, emphasize potentials pitfalls and limitations in the diagnosis of paraneoplastic neurological syndromes (PNS), and examine the current evidence for a possible pathogenic role. We propose to classify the neuronal antibodies associated with syndromes resulting from CNS neuronal dysfunction into two groups according to the location of the antigen: inside the neuron or in the cell membrane. Group I includes antibodies which target intracellular antigens and probably are not pathogenic. They are further subdivided into three groups. Group Ia comprises well-characterized onconeural antibodies (Hu (ANNA1), Yo (PCA1), Ri (ANNA2), CV2 (CRMP5), amphiphysin, Ma2) that are useful for the diagnosis of PNS. Group Ib antibodies (SOX and ZIC) are cancer-specific but there is no evidence that the immune response is in any way pathogenically related to the PNS. 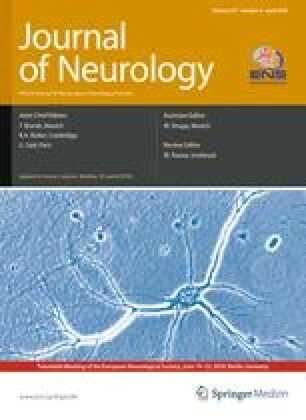 Antibodies in group Ic (glutamic acid decarboxylase (GAD), adenylate kinase 5 and Homer 3) identify non-PNS: stiff-person syndrome (SPS), cerebellar ataxia, and limbic encephalitis (LE). Group II antibodies recognize neuronal surface antigens. Antibodies in group IIa associate with characteristic CNS syndromes but their detection does not indicate that the disorder is paraneoplastic. Antibodies to potassium channels, AMPA and GABAB receptors are associated with LE, NMDA receptor antibodies identify a well-defined encephalitis, and antibodies against glycine receptors associate with SPS with encephalitis. A pathogenic role of the antibodies is suggested by the response of symptoms to immunotherapy and the correlation between antibody titers and neurological outcome. Lastly, Group IIb includes antibodies that are found in patients with paraneoplastic cerebellar ataxia associated with lung cancer (P/Q type calcium channels antibodies) or Hodgkin disease (metabotropic glutamate receptor type 1 antibodies). This study was supported in part by grant PS09/00193 Fondo de Investigaciones Sanitarias, Madrid, Spain.